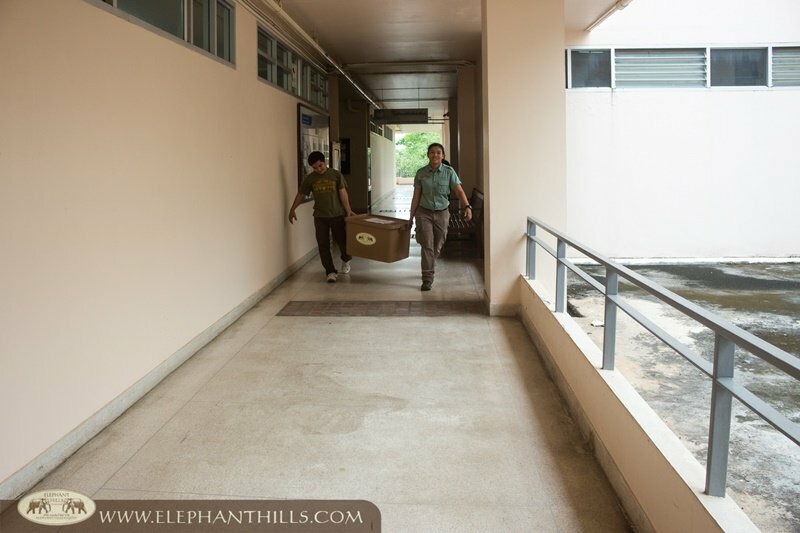 As our latest Elephant Conservation Project activity, we wanted to support the Chiang Mai University’s Elephant Research and Education Center, which works in close co-operation with the Elephant Hospital in Lampang. 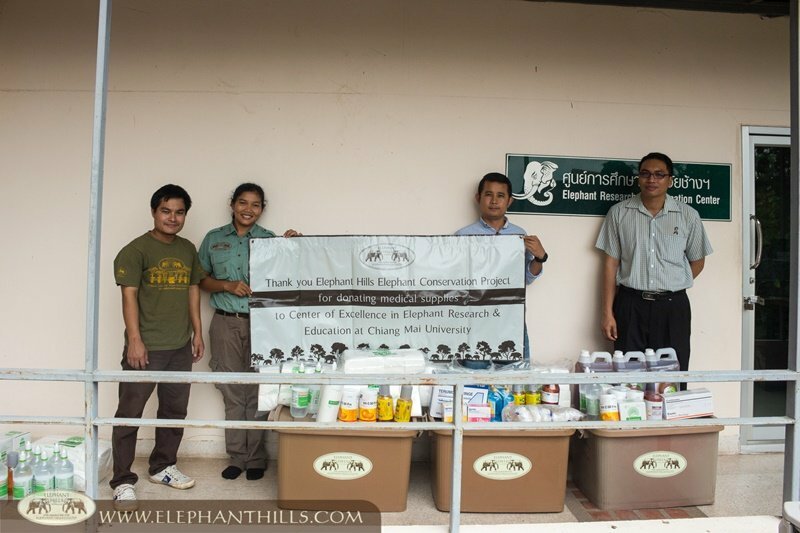 In addition to veterinary education, consultation and elephant research, the center helps domestic elephants in Chiang Mai and neighboring provinces by operating a mobile clinic. There are over 40 elephant camps in Chiang Mai province alone, and in some cases, it’s not possible or necessary to move the elephant to the Hospital in Lampang for treatment. The veterinarians in the research center have been important advisors for Elephant Hills for several years, helping us with our constant efforts on improving our elephants’ health and overall well-being. 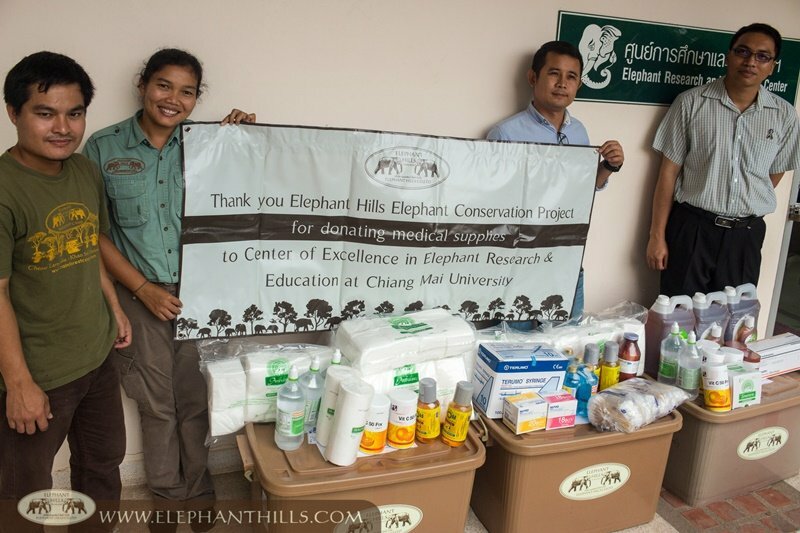 We were pleased to meet the head veterinarian Dr. Nil and his team at Chiang Mai university, and the donation consisting of a large selection of essential medical supplies was much appreciated by the whole team. 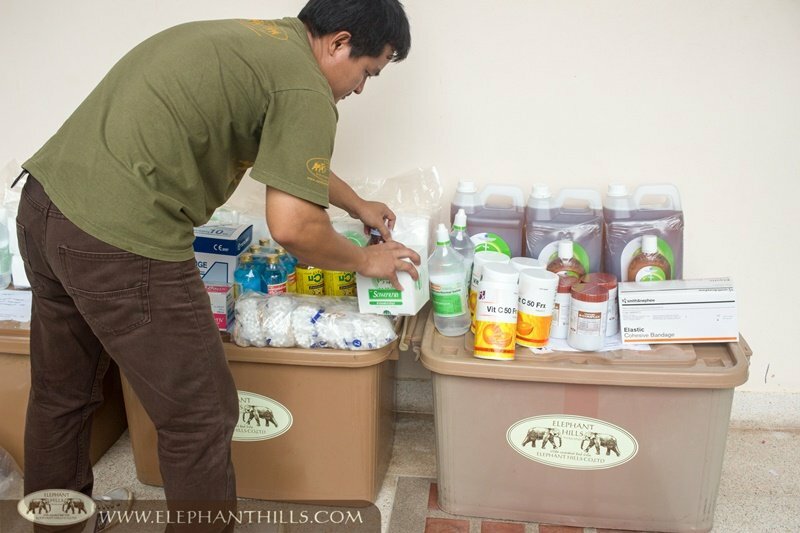 Elephant welfare has been a high priority for us from the start and whereas our elephants are well taken care of and happy, we want to do our part in helping other elephants in Thailand; both domestic and wild populations. This is the reason we founded Elephant Hills Elephant Conservation Project over ten years ago. Funds for this donation have been generously donated by our wonderful guests visiting Elephant Hills. 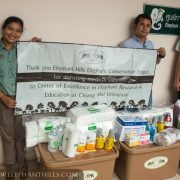 Thank you for helping us to improve the lives of Thai elephants!